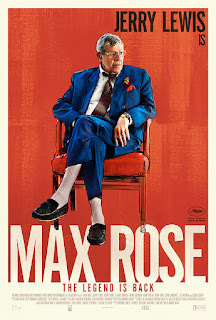 Jerry Lewis goes not for laughs but pathos in MAX ROSE, a film that had its premiere in Cannes back in 2013 but is just now getting a limited release in U.S. theaters. It's not hard to understand why it sat on the shelf for so long. 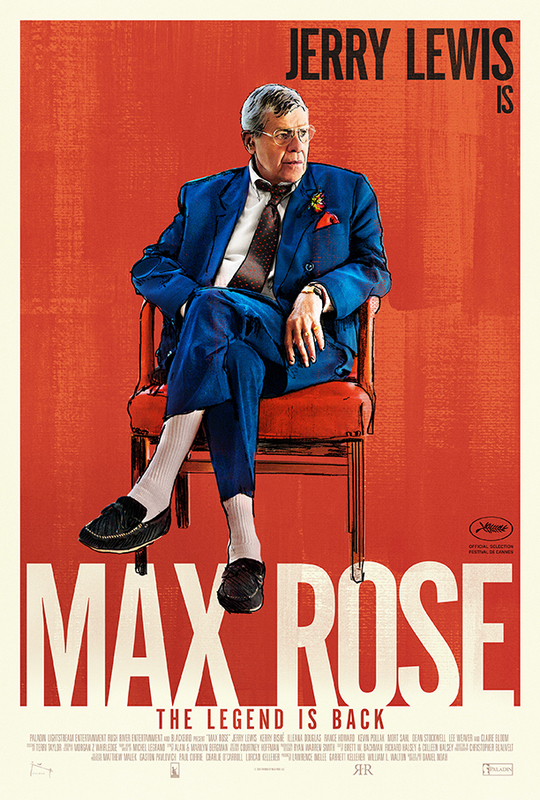 Lewis plays the title character, an elderly jazz pianist whose wife of 50 years has just passed away. While going through her things, Max finds seeming evidence of an affair between his wife and another man. The revelation shakes him to his core, and likely leads to health problems that land him in an assisted care facility. Eventually Max goes looking for answers, eventually finding them in anticlimactic fashion. Lewis hasn't starred in a film since 1995's FUNNY BONES, and it's hard to discern what there was about this project to lure him out of retirement. His character is painfully bland, and the story he inhabits, inert. Subplots involving Rose's difficult relationship with his son (Kevin Pollock) and a more tender bond with his granddaughter (Kerry Bishe') aren't particularly compelling, leaving the secret of Rose's late wife the only aspect of Daniel Noah's screenplay that might hold our attention. If only Noah's direction weren't so stiff and stilted, resulting in equally stiff and stilted performances from his actors. Unless you're a diehard Lewis fan, there's just no reason to see this movie. 1 out of 4 stars.